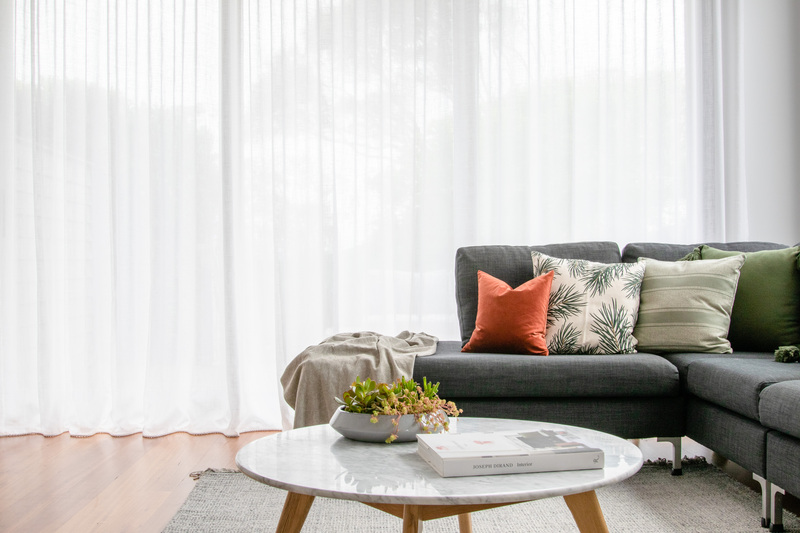 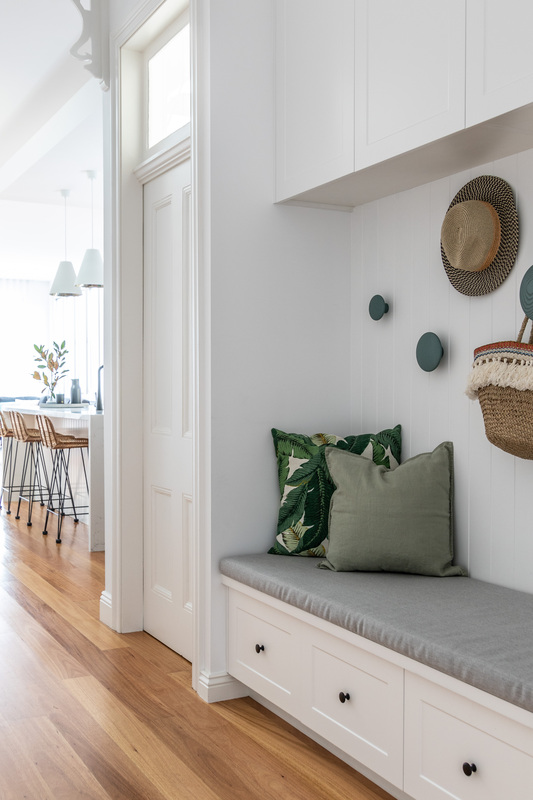 Brief: Bring a practical family home to life. 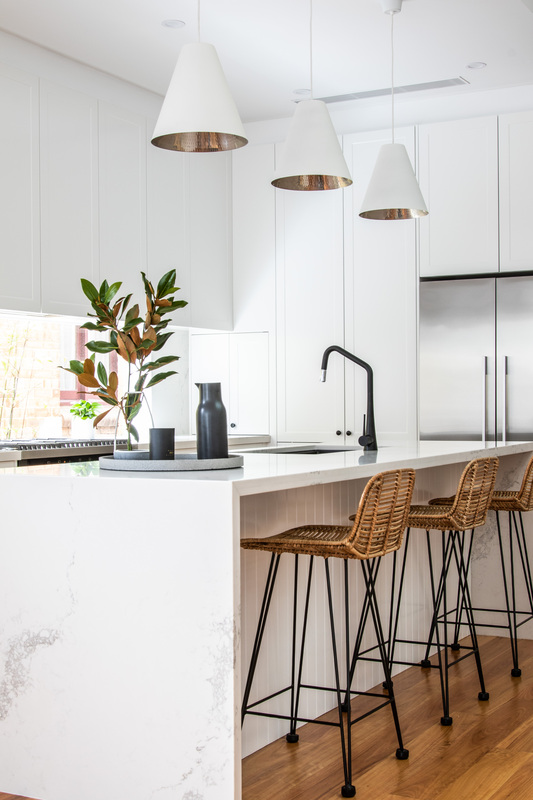 Inject personality and blend the old with the new new in this contemporary modern coastal home on Sydney’s northern beaches. 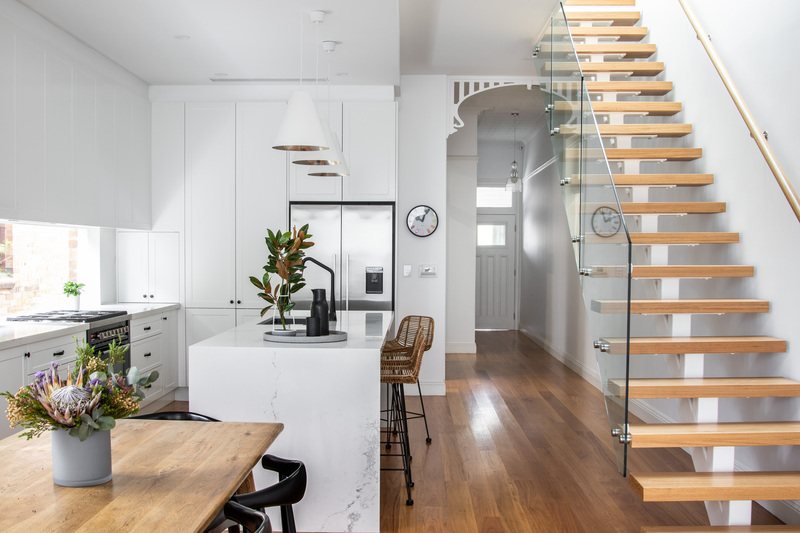 The existing lower level was all opened up to include a new kitchen and open plan living, and a second storey was added to allow 3 new bedrooms, a bathroom, master suite with ensuite. 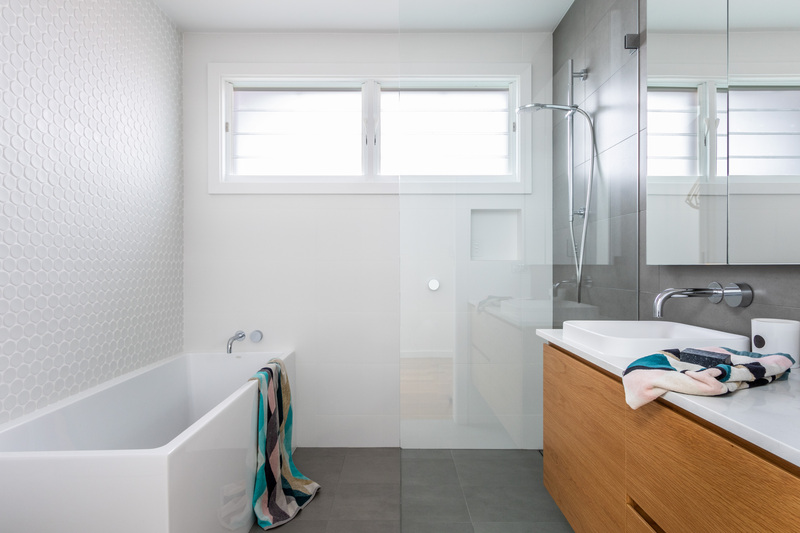 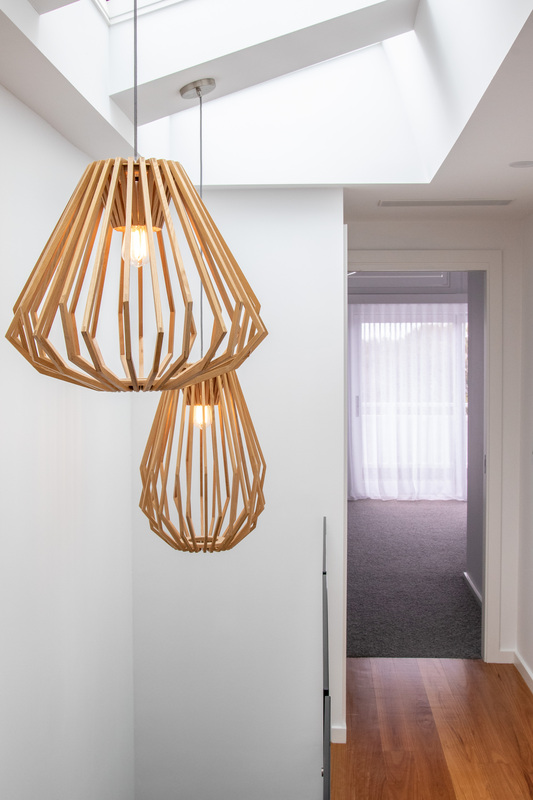 Nimmo Nielsen Collective oversaw the selection of all materials & finishes, design of joinery & window furnishings. 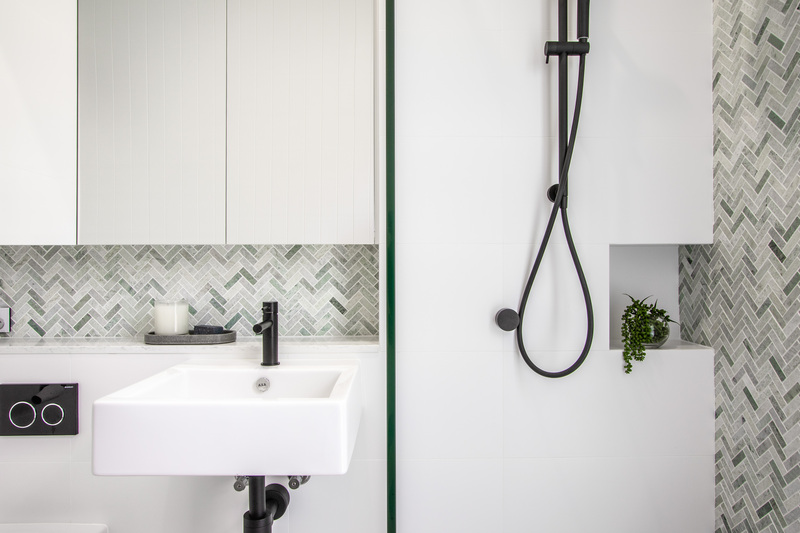 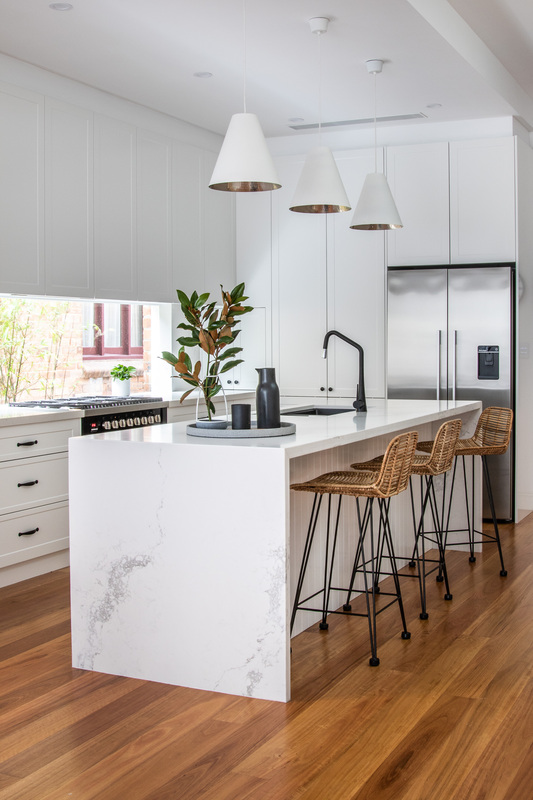 Shaker panelling in the kitchen gives a nod to the detail of the era, whilst black tap ware & hand beaten pendants add a sophisticated & contemporary feel, blending the old and the new seamlessly. 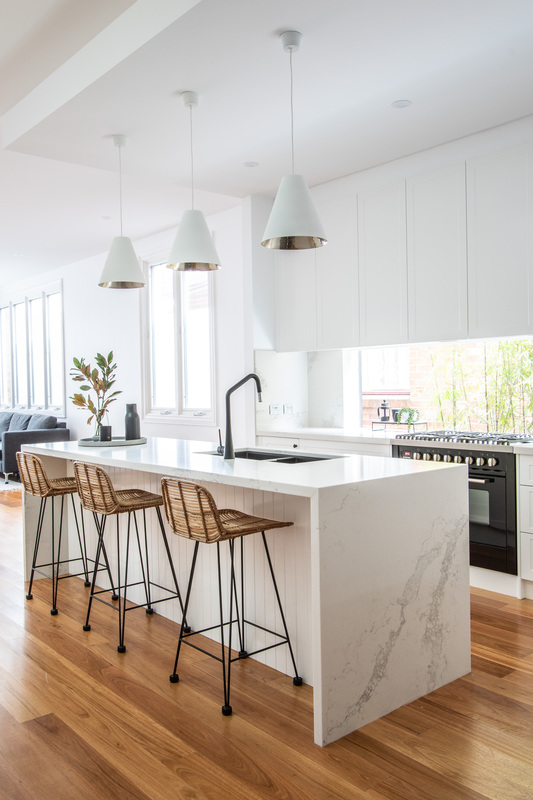 The beautiful high ceilings were retained, and a splash back window in the kitchen giving the space an open and light feeling. 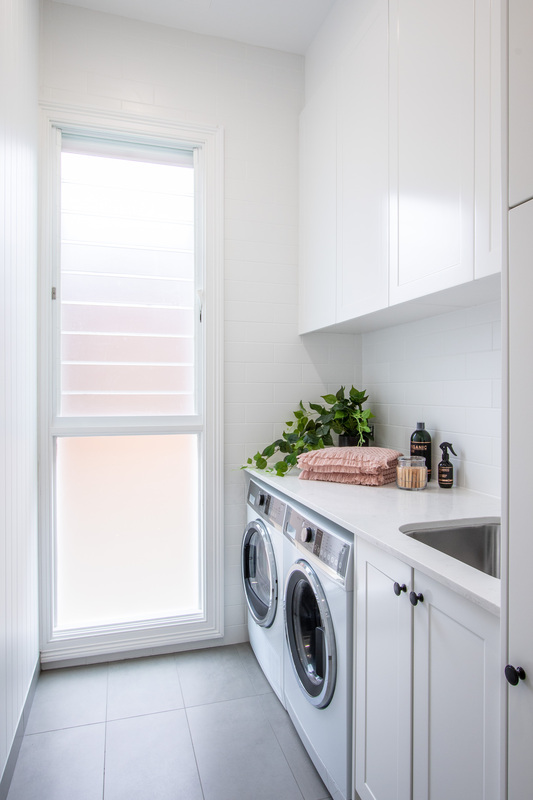 An existing bedroom at the front was replaced with a new guest bathroom & laundry. 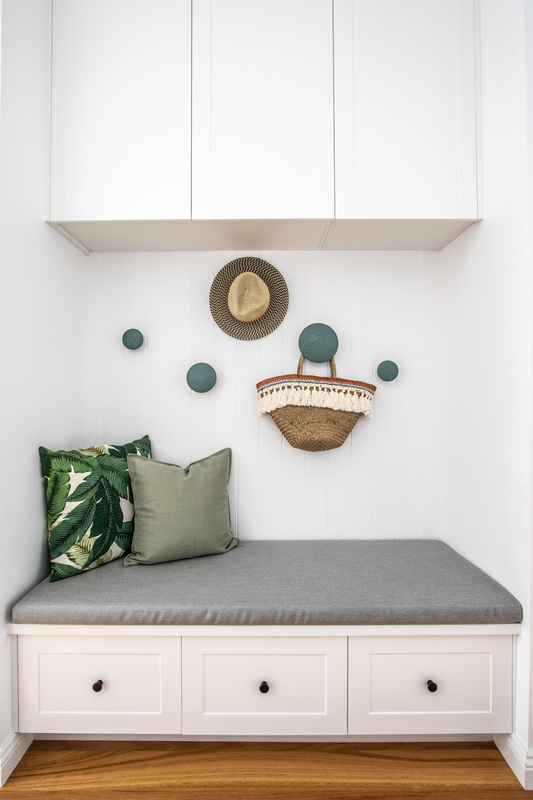 The wide hallway allowed for a bench seat nook with hooks above, a handy spot for hats or school bags etc. 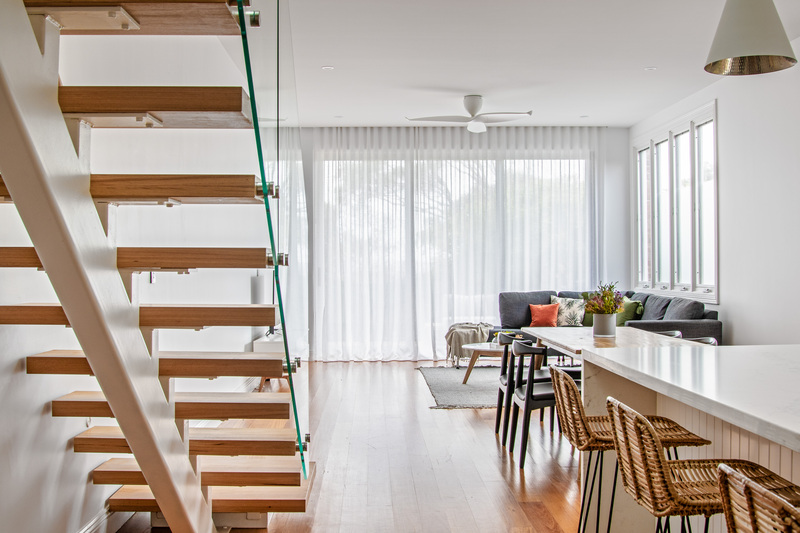 Floating stairs with sky lights above in the new ceiling were cleverly designed by the architect to allow much needed light to filter down into what was once a dark semi. 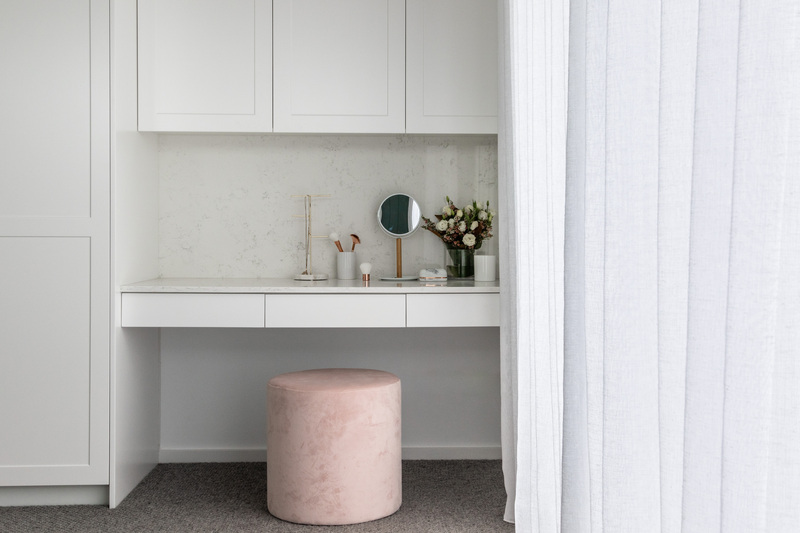 The master suite has plenty of storage as well as a built in dressing table. 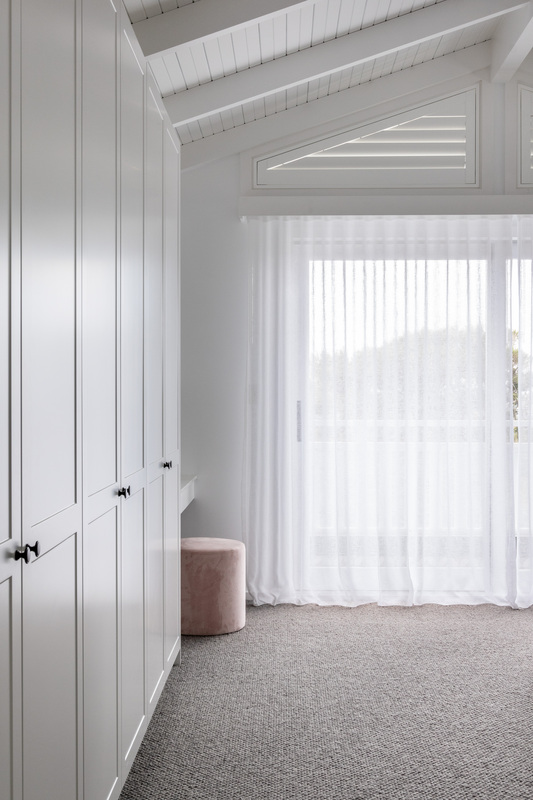 Shaker panelled wardrobes, beautiful sheer curtains, soft wool carpet and a panelled ceiling work together beautifully to give the master bedroom a sense of luxury & comfort. 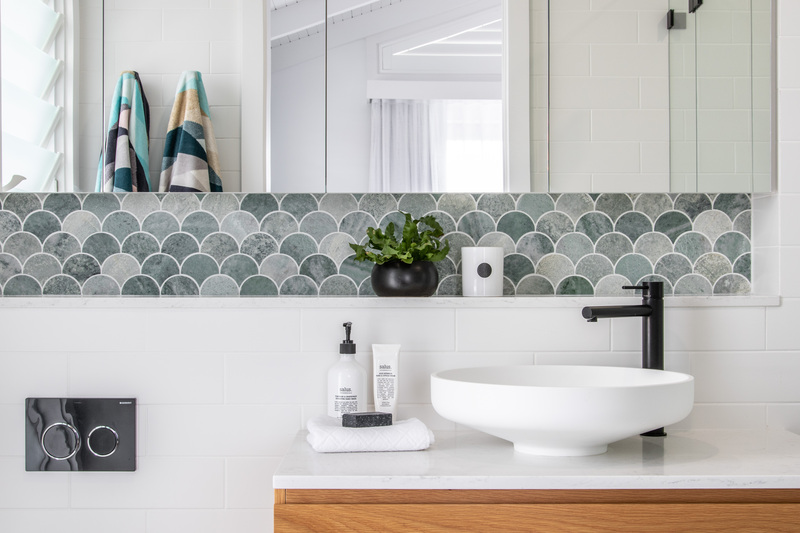 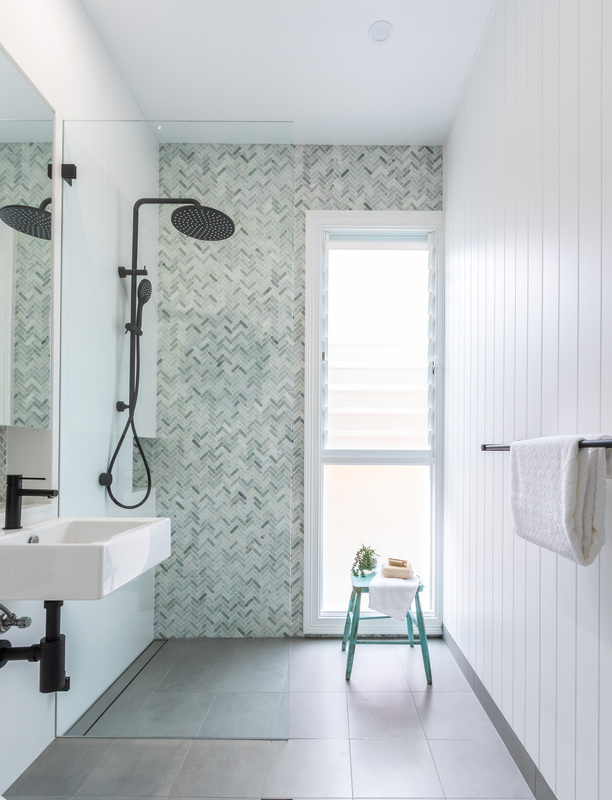 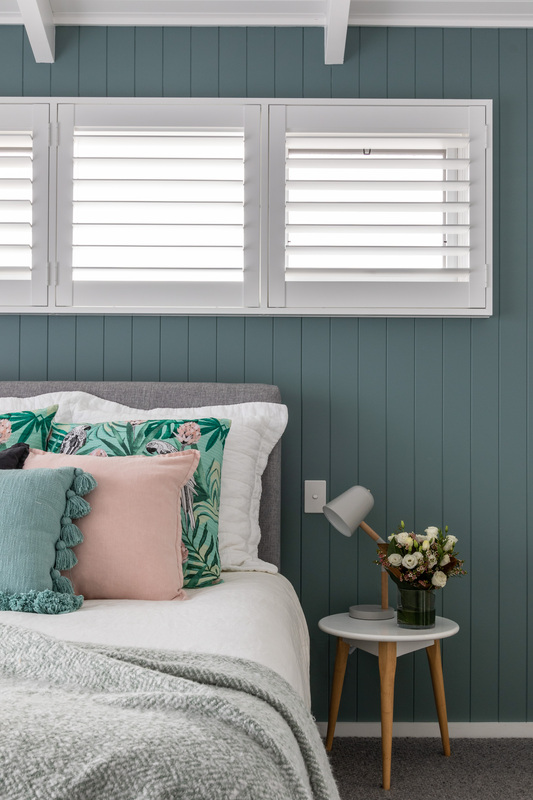 The colour palette in shades of Teal, White & Driftwood are a fitting connection to the beachside location.